Next to a crying baby or a delayed flight, taking wrinkled clothing out of your suitcase is up there on the list of most annoying things to deal with while traveling. And wearing your suit while you travel isn’t much better, as there’s no guarantee you’ll avoid wrinkles that way, either. 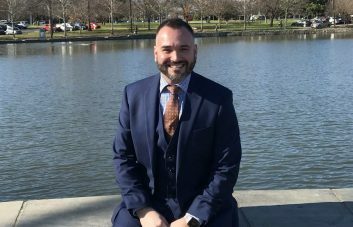 Is it really possible to travel with a suit and keep it looking as good as it did before takeoff? Definitely—and it isn’t as hard as you may think. 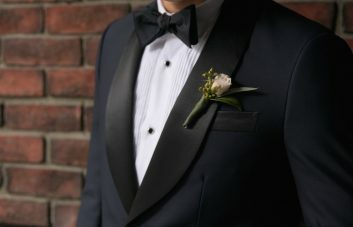 Even though it may be common practice to roll your clothing when packing to save space, do not do this with your suit. Sure, it might save a few inches, but you’ll need a professional steamer to save you once you take it out. Spare yourself the trouble and follow some of our recommended tips to avoid the suit-related travel headaches in the future. 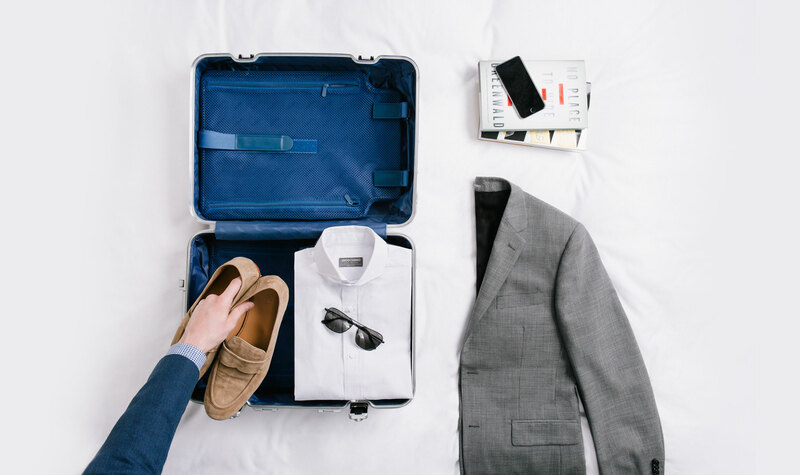 Of course, there are garment bags designed to keep your suit on a hanger during your travels, but they are not the most functional if you don’t have much space to work with or want to travel light. Consider investing in a carry-on bag or piece of luggage that comes with a zipper in the lining that opens to reveal a separate compartment. These are very useful when packing a suit, keeping it separate from anything that could spill, rip, or wrinkle it. When it comes to packing your precious cargo, less is more. Try not to over-stuff your luggage because this can result in extra weight pushing on your suit, causing wrinkles or damage. Leave some room for your suit and pack it neatly in a garment bag. It’s probably safe to say you’re not going to avoid all wrinkles, but putting it in a bag within your luggage and making sure it goes in neatly folded will go a long way. For extra assurance, pack a portable handheld steamer which can work wonders and save you the trouble of paying for a steaming service at your hotel. If you don’t have a steamer handy, try hanging your suit on the bathroom door when you shower and watch the steam do away with the wrinkles. Not only will you rid yourself of the travel grime, but your suit will look great too. Remember that your suit is never complete without a few simple accessories. Pack your cufflinks in your suit pocket and roll each of your ties up individually. To save more space and stay within the weight limit, make sure you wear your heaviest pair of shoes and pack the lighter ones in dust bags to keep everything else clean. 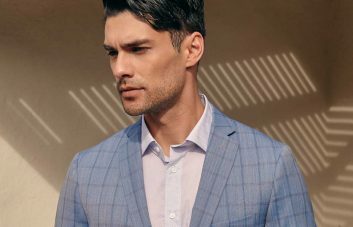 Traveling with a suit and trying to keep the wrinkles at bay may seem daunting at first, but it is not entirely impossible. Give our suggestions a try and you’ll be a pro in no time. Although these tips might not help with the crying baby, they’ll ensure a wrinkled suit won’t turn you into one. 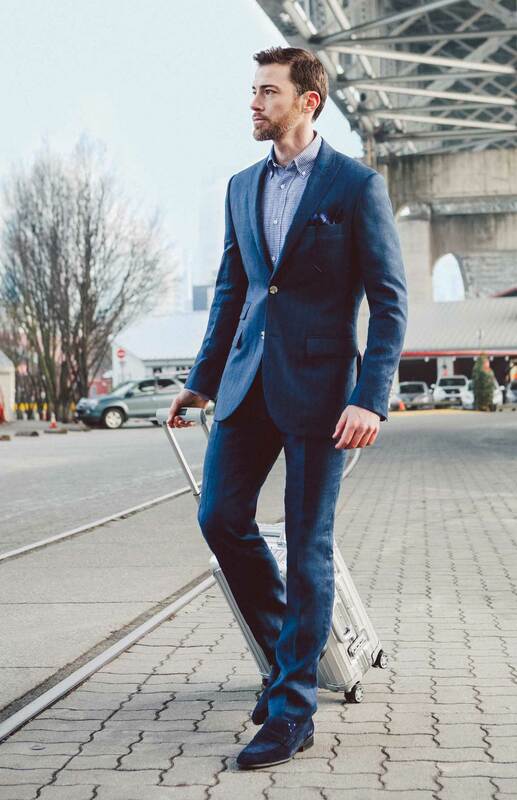 Whether it’s business or pleasure, arrive at your destination looking your best in Indochino.